NaturaBrasil presents the ethos of an amazing country bottled into an exquisite fragrance collection. 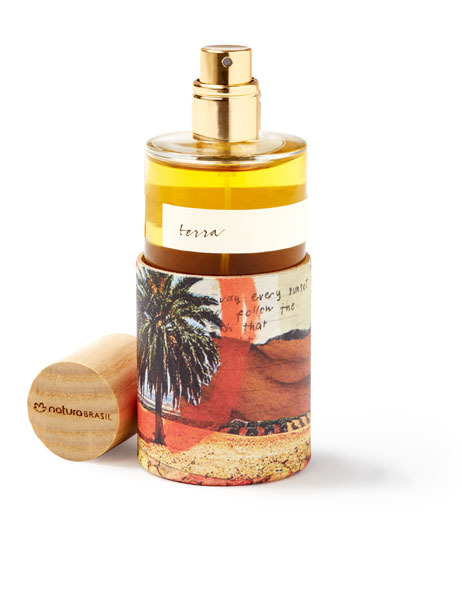 Each evocative scent gives a glimpse of travels through Brazil, providing sensual snapshots of the heat, the lush flora, and the seductiveness of this unique country. The sultry air is tinged with a hint of sweetness; a drum beat thumps like a pulse somewhere in the background. The purple night sky brings temptation, mystique, and promise. Angelica is the Brazilian name for tuberose, a flower known for its mysterious qualities. Combined with zesty mandarin and aquatic flowers, this alluring fragrance is dark and seductive. The blue flowers of the Jacaranda tree begin to sway – as if they’re doing an elegant dance. The tall grasses appear to wave hello. The cool and tender breeze ushers in a feeling of freshness – a renewed spirit. 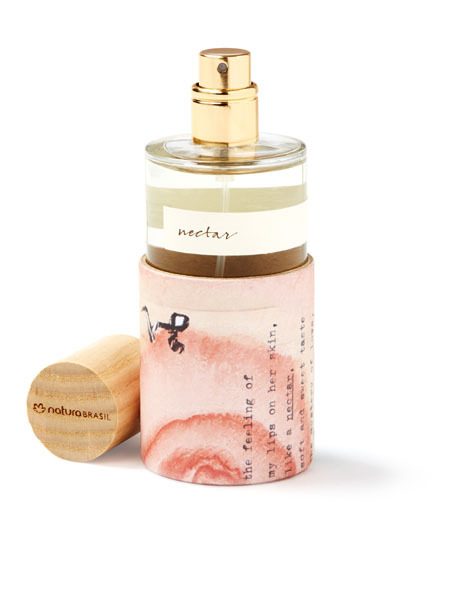 A combination of fresh and spicy, this bright earthy fragrance energizes with hints of papyrus, rose and grapefruit. Hidden in the shade of the lush green forest is an unexpected sea of glass. A sleek and contemporary refuge that evokes a feeling of both coolness and warmth all at once. Madeira Blanca was inspired by Brazilian architecture – strong and modern yet still immersed in nature – with hints of warm woods, spicy black pepper and calming musk. The fresh-cut grasses are still damp from the early morning dew. The succulent scent of ripe blood oranges mingles with the warm, balmy air. The sweet breath of nature clings to skin like an all-over tattoo. Like a second-skin, this soft, romantic scent envelops the body with sensual flowers, citrus, and warm amber. The fiery sunset casts a soft amber glow on the surrounding sandy soil. Like a warm embrace, you can feel it lingering even after it’s gone. 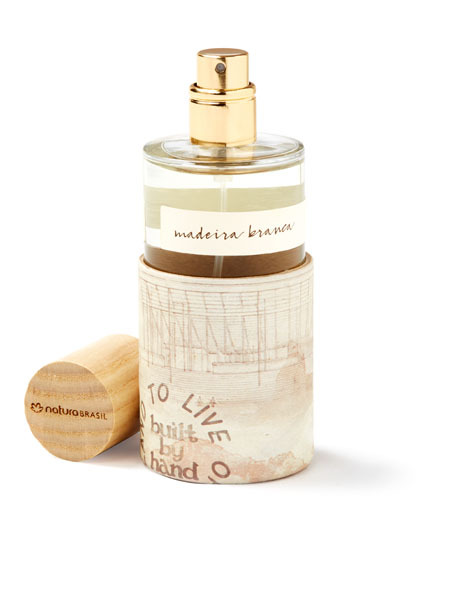 With hints of soft woods, white flowers and vanilla musk, this earthy fragrance wears like a cozy, comforting blanket. Available at naturabrasil.com and in flagship boutiques in Nolita and Garden State Plaza. Quotes provided by Roger Schmid, Head of Innovation and Sustainability for Natura &Co.
How did you develop Collages? 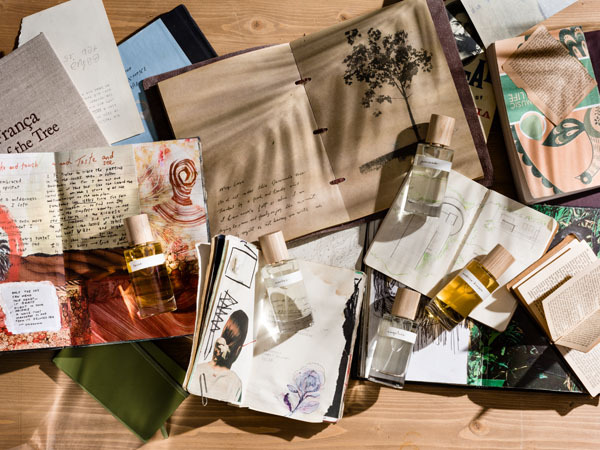 Roger Schmid, who works on innovation internationally for NaturaBrasil, is a veteran of the Fragrance industry where he has managed and helped grow dozens of Perfumers, in Paris and New York. It was wonderful to work on this concept of little “Brazilian Stories” together with these friends. In this endeavor he was accompanied by Elisabeth Carre, the best Perfume Evaluator in Europe, and Alicia Tsai an FIT graduate passionate about scent. Roger, who has been working with Natura for 12 years, has lived in Brazil and knows the country and its people extremely well. The idea to use scent as a way to discover Brazil was born from this combination of factors. Why don’t you use the traditional pyramid to describe the scents? Why not mention the name of the Perfumers behind each scent? Why creating a collection in New York and Paris, and not Brazil?